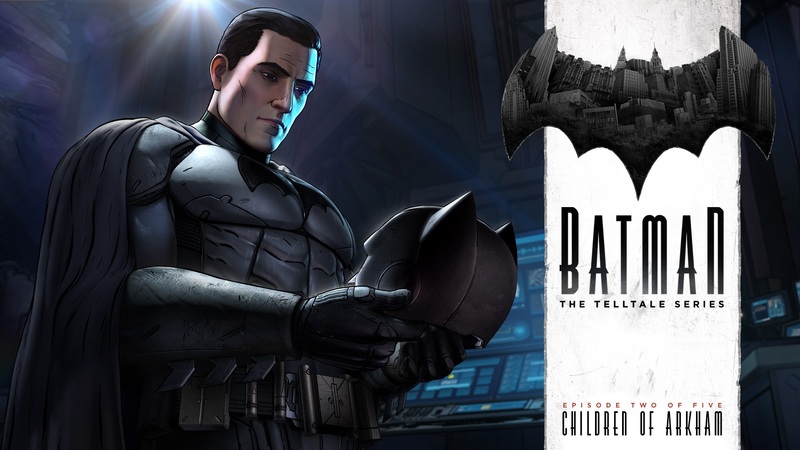 Telltale Games had their hands full when it came to bringing the Batman franchise to their standard episodic format but with the release of the first episode last month, the company managed to establish a new story that instantly managed to provide an interesting twist to the standard narrative. With the second episode, Children of Arkham, now available does Batman: The Telltale Series manage to capitalize on this hook and progress in a satisfying manner? Just like every review of ours that covers an episodic title, this review will mention certain events that took place during the first episode of the series, especially in regards to a major event at the end of the episode, so those who have yet to complete Realm of Shadows should do so before continuing. 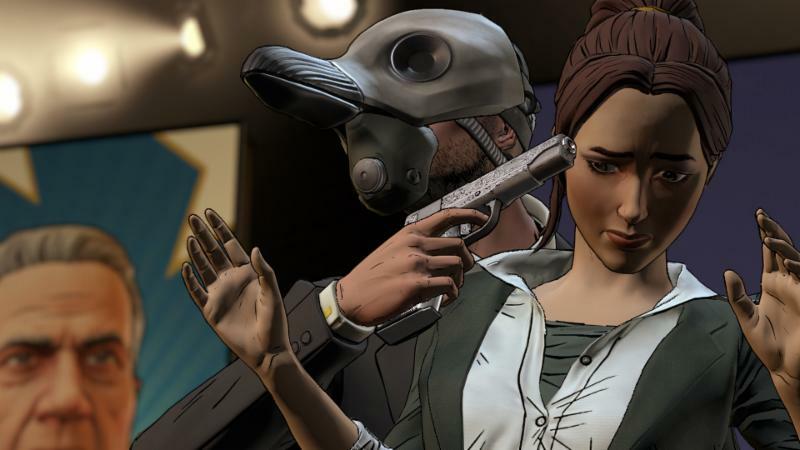 In many ways Batman: The Telltale Series kicked things off with a number of new little twists to the storyline. Not only is Oswald Cobblepot a childhood friend of Bruce Wayne but he is also a younger and far more capable looking man than fans are generally familiar with and it also revealed that the Wayne name isn’t exactly as pristine as one would have thought. With rumors and then a confirmation that Thomas and Martha Wayne were indeed connected to the crime and corruption in Gotham, Bruce was left reeling. Children of Arkham picks up with Bruce attempting to remember exactly what happened during the tragic event that took the life of his parents. Through doing so he remembers that it was far more than a mugging and learns that they were instead targeted by their fellow partners in corruption. The problem is, the very people that he needs to talk to in an effort to learn more about his past are the very people who are now being targeted by his old friend Oswald, now going by the moniker of Penguin, as his talk of revolution goes into full swing. Without going into too much extra detail in an effort to avoid spoiling various revelations and surprising turns of events that take place in this episode I’ll just say that a new mastermind rears its head and even more damning evidence of the Wayne’s corruption appears but we’ll leave it at that for now so players can experience these as they unfold. This episode serves as more of a development period than one where players take a whole lot of action on their own, leaving Bruce as more of a reactionary character this time around and less of a detective/vigilante. One element that does come into play is a unique aspect that I hope shows up in future episodes and that is choosing between tackling an upcoming section as either Bruce Wayne or Batman. As Batman players can freely use his intimidating presence and threats to gather information, but this information may vary wildly from what the cunning Bruce Wayne might learn through smooth talking his way to the info as well as harm the appearance of Batman being seen as something of a hero. Making this choice and going through with certain concessions that may need to be made help vary the story development enough to warrant more than one playthrough, giving players a chance to feel like their decisions matter this time, especially when it comes to the final choice in the episode. This episode does run a bit shorter than the first one and as mentioned earlier, Bruce spends most of his time reacting to events but that doesn’t mean it is a dull episode by any means. While certain events do play out in a fairly predictable manner, such as the expected developments of Selina being a wildcard romantic possibility and the complete overpowering of the Gotham PD by Penguin and his men, thanks to the writing showing Bruce Wayne and his Batman persona as two sides of the same coin rather than separate entities entirely, the introduction of a new threatening villain, and the hints as to what is to come thanks to the player’s decisions leaves me rather excited to see where things can go from here. Similar to the previous episode players should come into Children of Arkham expecting quite a lot of stylized action sequences as the fights in this episode remain incredibly well choreographed. As usual these fights play out through quick time events though only one of them makes use of the “bat symbol” finishing move to complete the fight. The return of a planned sequence of events to take out an embedded set of enemies also returns and the addition of an extra element helps spice things up a bit here. Actual exploration is kept to a bare minimum this time around which is rather disappointing since there are no real aspects of puzzle solving or detective like sequences in this episode, though thanks to the way things play out players will hopefully see how important their decisions are in future episodes, especially when it comes to Bruce/Batman’s relationships with Selina and Harvey. Telltale’s art style continues to look wonderful when paired with the comic book aesthetic that fans are familiar with when it comes to Batman and the character designs continue to look great, albeit a bit different than some might be familiar with, in this entry. The action sequences are well handled as well though players should be prepared for a bit of slowdown during the longest fight scene featuring the bat symbol filling in the corner. The voice work for the characters continues to work well with Alfred, Bruce, and Selina coming off as the best sounding characters in the episode though the new villain and Penguin also sound great. Batman: The Telltale Series’ second episode, Children of Arkham, does serve as a way to deliver plenty of drama without moving the story forward too briskly but it works well as a set up episode. This is especially true since players are given freedom to choose how to handle situations as Bruce or Batman while also giving players a hint at just how important some of their decisions might actually be this time around. With a new villain pulling the strings, more proof that the Wayne name is corrupt, and Bruce being targeted by old friends with his new relationships also being tested, Children of Arkham serves as a solid foundation for the story ahead. 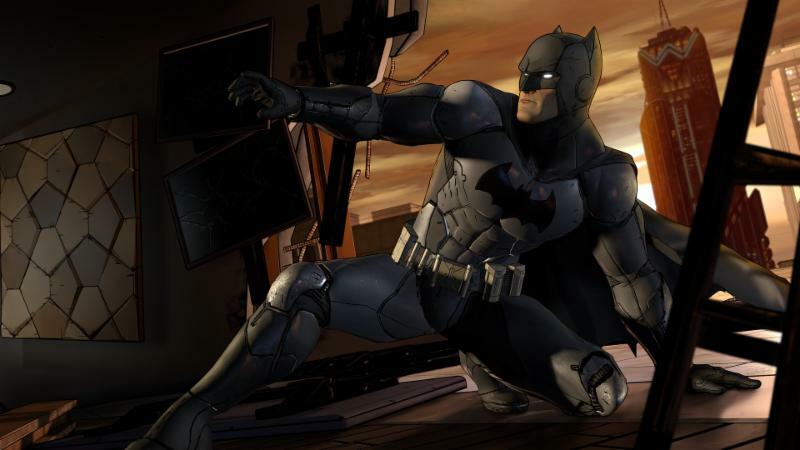 Telltale continues to craft a new rather surprising story that will keep Batman fans on their toes as Children of Arkham throws new story details at players while holding onto certain classic elements of the series.